Don’t be fooled by the “honey” in its name, the honey badger is actually listed in the Guinness Book of World Records as “The World’s Most Fearless Creature.” Want to know why? Let’s start with why it shouldn’t be afraid. A healthy adult honey badger has almost no natural predators (save humans). It has thick, rubbery skin that even a blow from a sharp machete or knife can’t scratch. It also seems impervious to spears and arrows. 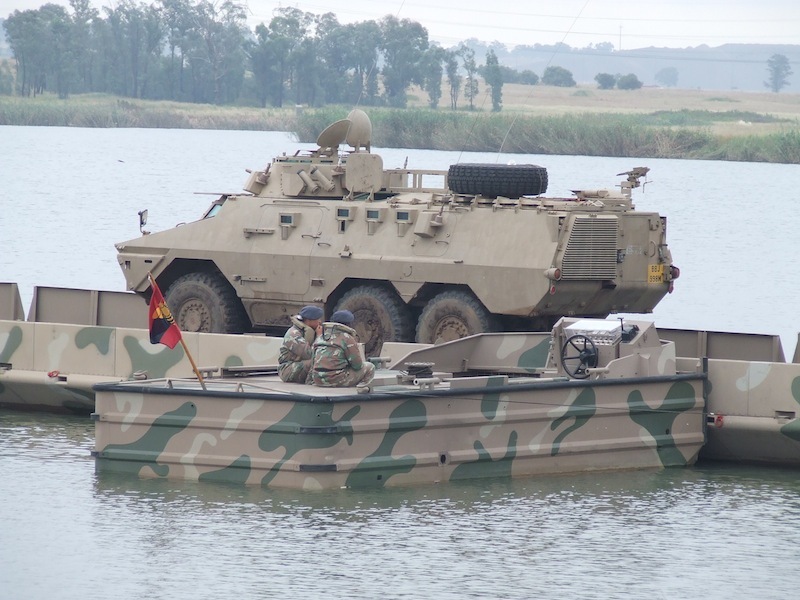 It’s so tough that the South African Defense Force named their heavily armored infantry-fighting vehicle after it, the Ratel 20 (“ratal” is the Afrikaans word for honey badger). In addition to thick skin, the skin is also very loose, which allows it to twist and turn if grabbed by an attacker. Its powerful jaws and sharp teeth are powerful enough to crush a tortoise shell. Footage has been captured of a honey badger facing off against a puff adder—a venomous viper that’s responsible for most snakebite fatalities in Africa. The honey badger is bitten by the highly venomous snake. After ripping off the snake’s head, the venom seeps in and the honey badger passes out for a little bit. It then wakes up and continues munching on the snake as if nothing happened. So how did this ferocious, fearless creature get such an innocent-sounding name? It comes from the honey badger’s habit of raiding beehives to eat the honey and larvae within. And of course the honey badger doesn’t mind being stung hundreds of times by bees—if it’s stung too much, it can fumigate the beehive much like a beekeeper does to pacify the hive. Honey badgers can be found in Africa, the Middle East, and in India. Notorious for their strength, ferocity, and toughness, honey badgers have been known to attack and repel almost any kind of animal when escape is impossible, even much larger predators like lions. They’re also virtually tireless in combat and can wear out much larger animals in physical confrontations. Honey badgers are actually not that closely related to badgers, but got the name because of superficial resemblance to the Eurasian badger. They’re more closely related to weasels—but maybe weasel didn’t sound “bad” enough. 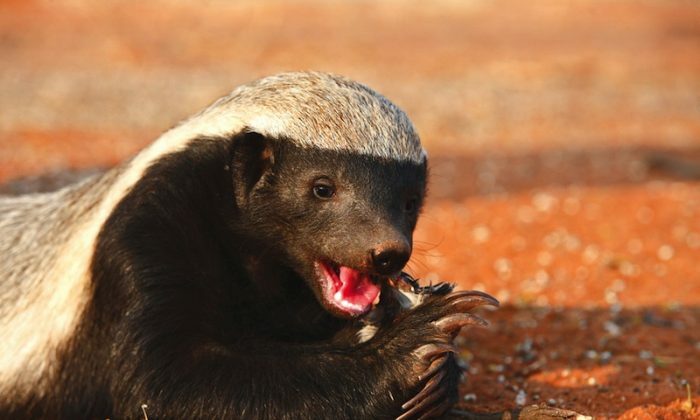 *Honey badger and Honey Badger eating photos via Shutterstock.